You can listen to this episode above and subscribe to our podcast on iTunes. You can also listen to this episode on Stitcher, Cyber Ears or download it on Archive.org (55mins, 48MB). Celeste’s upbringing and how it has informed her politics today. Women’s liberation is just a start, same with all other causes. We should liberate the most vulnerable rather than trickle down social justice. Choice is linked to privilege. For more information on this talk and for a recording that includes the whole talk and the Q and A after the talk (covering topics such as education in schools on Indigenous issues, disabilities in Indigenous communities and self-care for Women of Colour), see here. You can also view the text of this talk here. 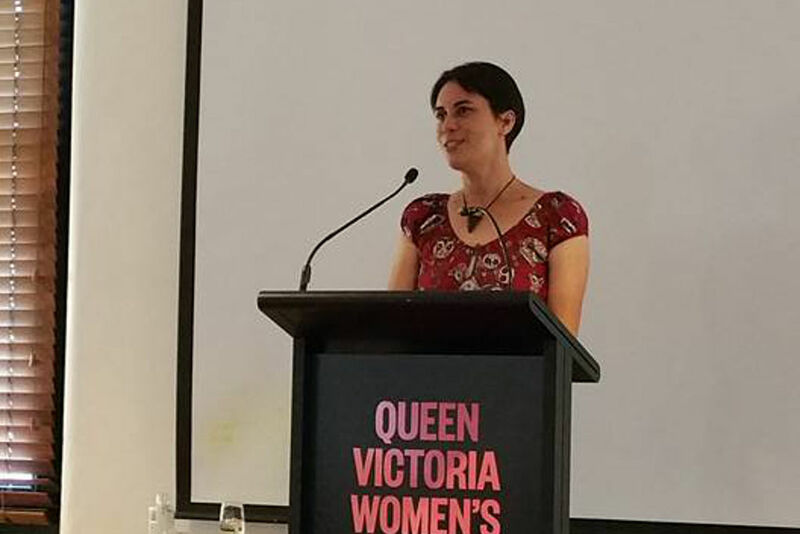 Be sure to check out Celeste’s blog blackfeministranter.blogspot.com.au, follow her on Twitter @Utopiana and like her Facebook page. You can also hear another talk from Celeste on our 108th episode. Meagan Trainer ‘No’, Bob Randall ‘Brown Skin Baby (They Took Me Away)’, Thelma Plum ‘Dollar’. You can listen to a short (10 minute) version of this episode, which features a shortened version of Celeste’s talk, below. You can subscribe to these short versions of our episodes through Omny. Episode 131: Getting Trigger Happy With Trigger Warnings – Take That Stephen Fry!